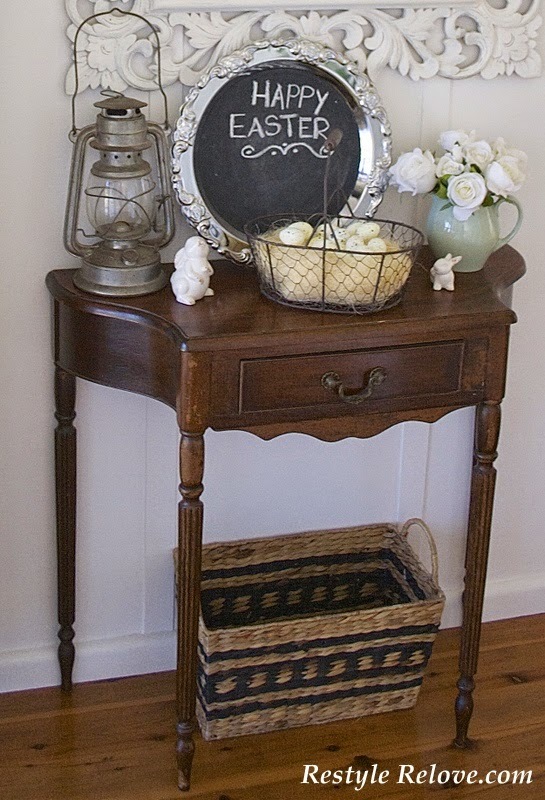 I mixed up my DIY white chalk paint mixture, then tinted it a dark grey with black acrylic paint. 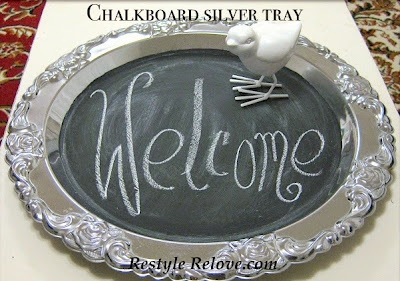 I applied 3 coats to the tray, then rubbed it all over with chalk, wiped it off and presto! A very quick and simple project with a great result. I loved it so much that I propped it up on our entryway table for everyone to see when they walked in. 3 years later and I still love and use it in the entryway and on the coffee table in the lounge room. I have a few of these chalkboard trays hanging around too!